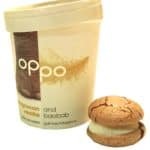 Oppo Ice cream is a bit like the Holy Grail of food: Ice cream that tastes great, is low calorie and is good for you. 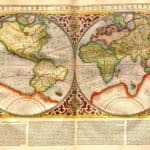 The creation of two brothers, Charlie and Harry Thuillier, the duo were exposed to many different natural foods while on an extended trip to Brazil. 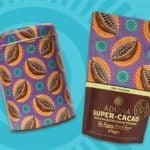 They returned to the UK determined to create good-tasting, natural food that was not all sugar. Charlie, after leaving his day job at Diageo, spent 25 months perfecting their first Oppo flavors. 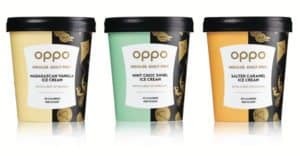 Today Oppo is sold in over 1000 stores across the UK including well-known retailers like Whole Foods, Waitrose, Holland & Barrett and many more. 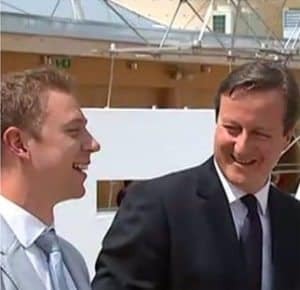 Oppo has won a battalion of awards and visited with the PM in recognition of the best of British food innovation. But cuisine creativity comes with a cost. Innovation and growth take money and investment. But for the Oppo founders instead of going the traditional Angel/VC route, the two brothers went to the crowd leveraging Seedrs to raise sufficient capital to launch their product before it had blessed a single retailers shelf. Business success is not easy – it is an uphill battle. Oppo, in a few short years, has gone from longshot idea to commercial success. 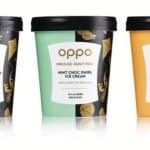 Oppo is also a great example of a small company that leveraged investment crowdfunding to take their business to the next level. 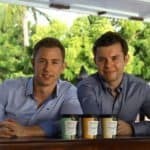 Recently Crowdfund Insider communicated with Charlie and Harry to learn more about their entrepreneurial odyssey. 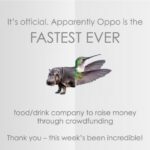 Crowdfund Insider: Why did Oppo decide to use crowdfunding? What other options did you explore? 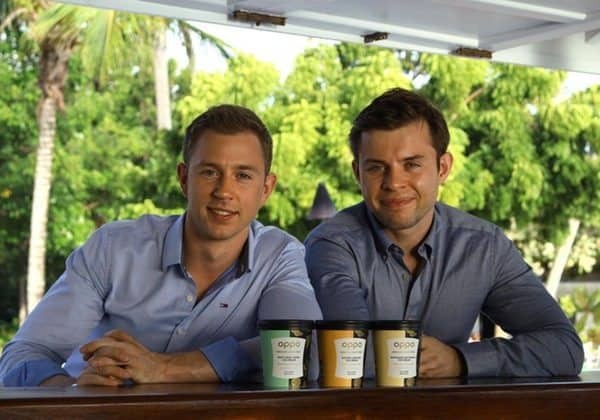 Charlie & Harry: Back in November 2014 and just 2 months’ old, we were on the lookout for our first round of investment. We had actually already been offered our asking price from a venture capitalist, but at the time it just didn’t seem right. At this time, luck struck. Whilst handing out some samples in the café below my flat, one of the customers took a tub, had a taste and then told me not to move anywhere, she’d be back soon. She had taken the samples to her husband who happened to be Seedrs CEO, Jeff Lynn! Jeff opened up the world of crowdfunding to us. Two record-breaking crowdfunds later (January 2015 and February 2016), we’re positive that we made the right choice. We now have over 750 investors. These are 750 people who have an active interest in contributing to our success. They have been invaluable in a number of ways, from helping us with our marketing, to providing advice, and even giving feedback on new ideas, branding and propositions. We’re thrilled to have 750 people who are joining us on, as well as shaping the Oppo journey. 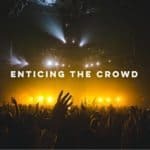 Crowdfund Insider: How was your experience using crowdfunding? Were there any surprises? Good or bad? 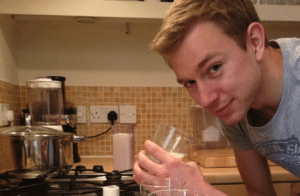 Charlie & Harry: Our experience with crowdfunding has been overwhelmingly positive. The biggest surprise was realising just how public crowdfunding is. If you’re looking for investment behind closed doors and don’t get anywhere, then that failure remains behind closed doors. No-one need know. With crowdfunding, however, that failure is completely public. That’s a scary prospect for any company. However, we have always seen this as an opportunity. A publicly successful raise can gain you some great PR, as well providing a public validation for your company as a viable business proposition. You just have to make sure the raise is successful, and if possible, noteworthy too. 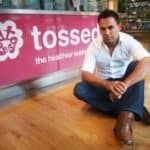 In our first raise, we became the fastest ever food and drink company to reach target through crowdfunding (we still hold this record to date), and in our second raise, in addition to another fast raise, we managed to secure Wimbledon Champion and World Number 2, Andy Murray as an investor. As a small business you have to take your opportunities. Crowdfunding is one of the best. 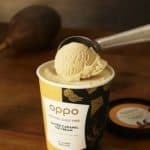 Crowdfund Insider: How many funding rounds has Oppo completed since the offer on Seedrs? January 2015 – £300,000 on a valuation of £1 million. February 2016 – £350,000 on a valuation of £3 million. 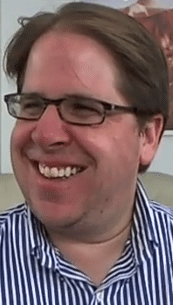 Crowdfund Insider: How impactful was the funding sourced on Seedrs? Charlie & Harry: The investment was vital. It allowed us to expand our team to 9 full-time staff and 20 UK-wide Brand Ambassadors, as well as allocate specific budgets to marketing, sales and NPD. 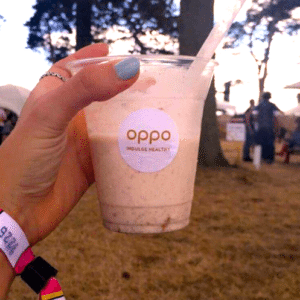 Our full-time staff work across marketing, sales and operations, and our Brand Ambassadors work specifically on introducing consumers to Oppo at events and tasting sessions. Oppo is unique. We are the only dairy ice cream in the UK who can officially call ourselves healthy. 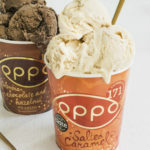 We are also one of a very select few dairy ice creams who have a Great Taste Award. 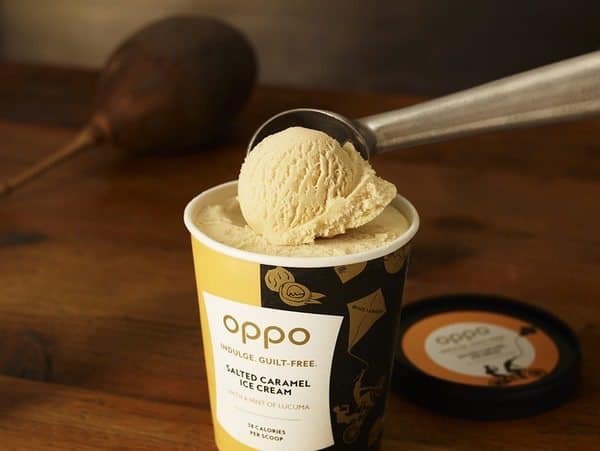 Oppo introduces the customer to healthy indulgence, and it is clear that we just could not have reached as many people as we have done without our investment. Crowdfund Insider: How is the business performing today? Charlie & Harry: We’ve been overwhelmed at the response to Oppo. In the first four months of 2016/17, we’ve already surpassed our 2015/16 turnover, and we’re on target to meet our revenue targets, as set in conjunction with our investors. It’s clear that we’re building a growing and loyal customer base, without deep discounting. The trade and retailer response has been equally positive, having now expanded distribution into Waitrose, Co-op, Whole Foods, Holland and Barrett, Budgens and 2 national contract caterers. Crowdfund Insider: What type of expectations do you have for investors regarding an exit? Charlie & Harry: We feel a huge responsibility to every single one of our investors; from friends, family, big names such as Andy Murray to people we have never met before. All of them have invested for their different reasons. 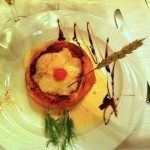 The core thing which unites them all though is that they believe in our proposition: People should and now can indulge healthily. Companies with successful exits have four common characteristics: 1) An innovative product slotting into a true market need; 2) Brilliant team; 3) Solid distribution; 4) A strong brand. All of our investors’ hard earned cash is going directly into ensuring we deliver and exceed on all four. Our product has won numerous awards including a Great Taste Award and Healthy Food Guide Award two years running, we’ve got nine full-time team members dedicated to delivering our vision, we’re stocked in over 1,300 stores nationwide and we’re creating a brand with great awareness and high integrity/ affiliation with our consumers. 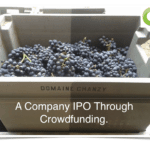 Crowdfund Insider: Would you raise capital online again? Charlie & Harry: It’s definitely an option. As I’ve said above, crowdfunding has been brilliant for us. We’ve been able to receive the right amount of investment whilst keeping complete autonomy over our company. It’s also allowed us to get some brilliant publicity and we now have 750 investors who are taking an active role in shaping the Oppo journey. None of this would have been possible if we had not been prepared to put our heads above the parapet and publicly ask for external validation on our vision to make unhealthy indulgences irrelevant. With Oppo, people everywhere can give in to their favourite sweet treats without compromising on their health. Ice cream is just the start! 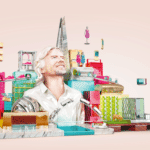 This entry was posted in Featured Headlines, Global, Offerings, Strategy and tagged charlie thuillier, dragons den, food, harry thuillier, jeff lynn, oppo, seedrs, uk, united kingdom. Bookmark the permalink.